A DUI isn’t the end of the world. And it certainly doesn’t mean you have to go bankrupt paying for your auto insurance! 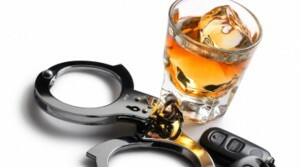 Capital Insurance Service is your Nevada DUI Insurance specialists! We are happy to serve customers that need an SR-22 filling throughout the whole state of California and Nevada! Including Las Vegas, Reno, Carson City, Garnerville, Dayton, Elko and Henderson. Our talented agents have the experience and expertise to save you money on your insurance even after being convicted of DUI. Our agents understand how difficult it can be to find quality insurance at a reasonable price after an offense. We have the lowest rates in the industry for drivers with a DUI. Need to file an SR-22? No problem! Our agents make filing an SR-22 fast and easy! An SR-22, also known as a Certificate of Financial Responsibility (CFR), is a certificate required by the state and provided by your auto insurance company that verifies that you have auto insurance liability coverage. SR-22 isn’t a type of insurance, but rather proof that you have auto insurance. Basically, it is a form which must be filed by the insurance company to the DMV, stating that auto liability insurance is in effect for you. The State of Nevada requires an SR-22 as a condition of reinstating your driver’s license or if your insurance has lapsed for more than 60 days. We understand that for most people, a DUI was just a mistake in judgement. With legal and court fees, the last thing you need to worry about is your auto insurance premium skyrocketing. Let our compassionate and qualified agents take care of you. Contact one of our agents at our Reno or Carson City office and get a Quick Free Quote today!